Hadaka no Shima (The Naked Island), has been one of the highlights of this season's Cinemateket programme so far, and it was spellbinding viewing tonight. I look eagerly forward to the remainder of the Japanese New Wave selection. 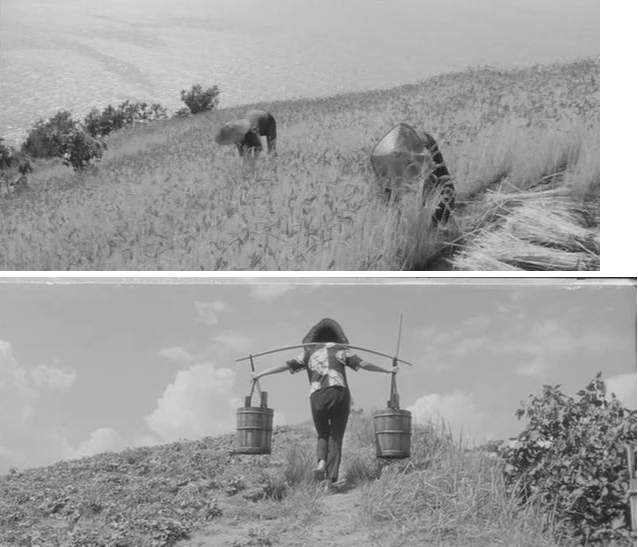 Kaneto Shindo's 1964 film centres on the continuous uphill struggles, living in isolation on a small island in the Seito Inland Sea. 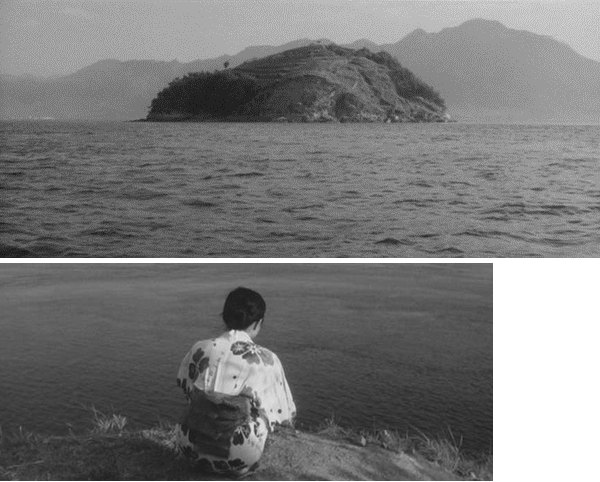 Shot in black and white, and almost completely void of dialogue, Shindo uses repeated daily actions to spell out the monotony of hardship - the breaks from the constant work (a family trip to the mainland, local celebrations) stand out in stark contrast as short interludes of spontaneity. Dialogue is not necessary; even if there had been a script, it doesn't feel like family would have anything to say to each other that could be conveyed with language. Accompanying the daily farming grind is an incredibly moving soundtrack by Hikaru Hayashi, perfectly reflecting and enhancing the back-breaking labour, one repeated motion after another. 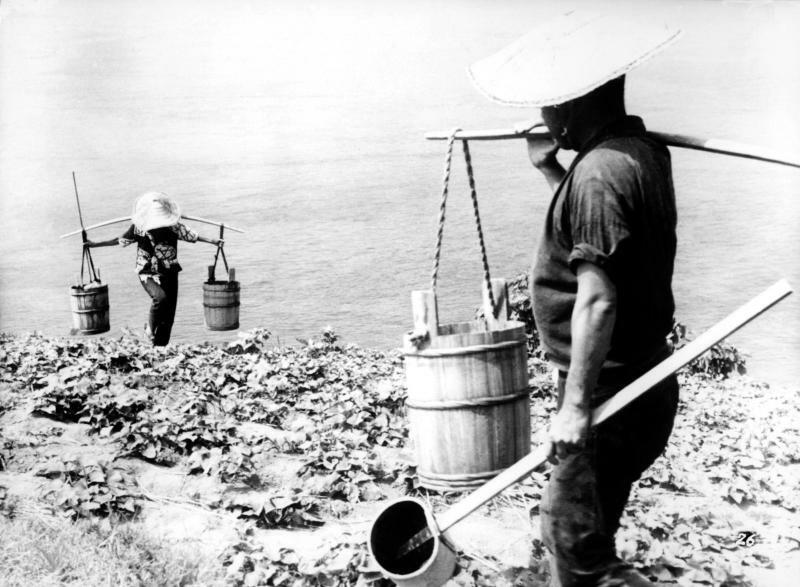 Tending to their precious crops, staggering up the rocky, precarious slopes of the island laden with full buckets of precious water - there is a certain elegance to the characters movements, as the gingerly place one foot in front of the other, sinewy arms supporting the yokes across their backs and shoulders in a delicate tightrope balancing act. Films like this continue to fuel my love of, and fascination with, islands.